The school bells have rung (or will soon), meaning kids are back to learning and game time is relegated to the back burner. Unless, that is, the games played are any of the Super Genius learning games from Blue Orange! The Super Genius lineup combines learning and fun in one—in the seemingly magical way only Blue Orange manages to pull off. 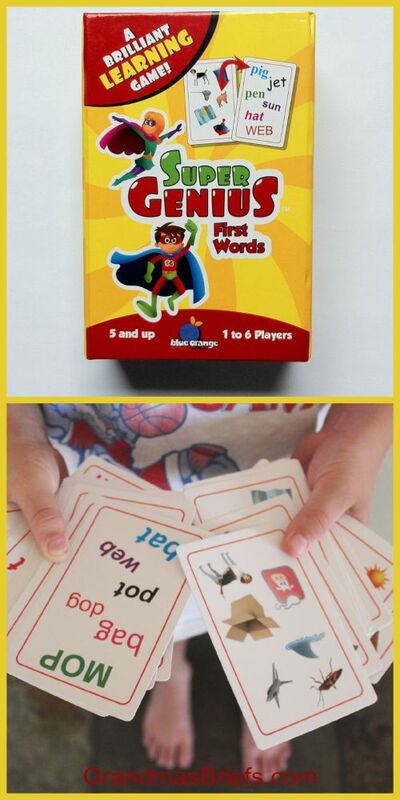 For example, in the most basic game play for two players of Super Genius First Words—which I received along with Super Genius Addition free for review—cards are separated into two stacks: IMAGE cards and WORD cards. Each player gets a stack and places it facedown in front of him or her. Players then simultaneously flip the top card in their stacks and race to see who can first match a picture or image on their card with the matching picture or word on their opponent's card. Say, the picture of a rat on one card will match the word RAT on the center card. Or one player may have the word PEN that will match the pen image on the other's card. Every card players flip will match their opponent's. Magically. The first to spot the match gets both cards. The winner is the one with the most cards in the end. That's just one game. Every Super Genius game has several different ways to play. Like I said: Lots of fun, lots of learning, all in one. First Words (ages 5+) — focuses on closed syllable and short vowel words and helps prepare early readers for more complicated language skills to come. Reading 1 (ages 6+) — focuses on the Dolch list of the most common sight words from children’s reading books. Reading 2 (ages 6+) — a continuation of Reading 1. Multiplication 1 (ages 8+) — focuses on single-unit multiplication equations (from 2 to 5) and helps prepare early learners for more complicated arithmetic to come. All versions are for 1-6 players, with gameplay for each running about 15 minutes. 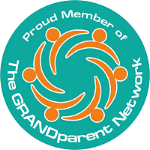 My oldest grandson, age 7, really enjoyed playing Super Genius First Words with me. He beat me hands down, without me having to pretend (too often) that he beat me in making a match. In all honesty, it was a pretty good workout for my brain (take note, baby boomers!). The Super Genius learning games are available on Amazon.com and other game retailers, with an MSRP of $13.99 each. Find out more at www.blueorangegames.com. Disclosure: I received these games free for review; opinions are my own.